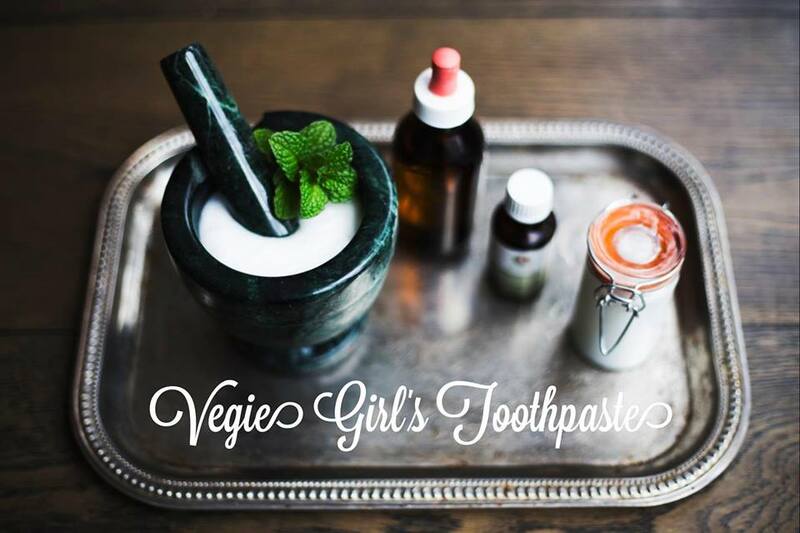 This toothpaste is easy to make, cheap and will clean, protect and even whiten your teeth like nothing ever before. Bi-carb soda – A mild abrasive that dissolves easily. In solution it will kill microorganisms and disease related bacteria. It will also neutralize and detoxify the bacterial acids and toxins that form in plaques. Coconut Oil – Is antibacterial, beneficial for gum health, protects tooth enamel and whitens the teeth. Peppermint or Mint Essential Oil – Is used to flavour the toothpaste. Neem Oil (optional) – Has anti bacterial benefits that help to prevent tooth decay and gingivitis. Food Grade Hydrogen Peroxide 35% (optional) – Is a natural teeth whitener. -Mix 1 cup of Bi-carb soda in a bowl with approximately ½ cup of melted Coconut oil. – Add 10-15 drops of essential oils, 1 teaspoon of stevia (optional) 5 drops of Neem oil and 10 drops of the hydrogen peroxide. – Mix in a mortar and pestle until it forms a paste. Add more coconut oil or Bi-carb soda if needed. – Store in a glass jar. I love this recipe and I would love to use it. I was wondering if you have a substitute for the mint in the flavoring. I’m allergic to mint and I can’t drink, eat or smell anything with mint in it. If you have a substitute, I would love it if you could share it with me! You can use any food grade essential oils instead such as lemon or orange. See what tastes and work the best for you. I love this recipe and would love to use it. I was just wondering if there is an alternative to mint that I could use. I’m allergic to mint and can’t put it in anything that I eat, drink,or smell. Please let me know if you have an alternative. I would really appreciate it! Great recipe! Yes you can use any essential oils that are food grade such as peppermint, lemon, orange or whatever you may like. I was just wondering where abouts you buy the food Grade Hydrogen Peroxide from? You can buy hydrogen peroxide from some health food shops otherwise I buy it online.